Easy to talk to and love comedys hillwalks beach weekends away love to laugh non smoker , lovin life ? Margartbaird is a Female dating in Donegal, Ireland. 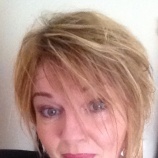 Check the description of this 52 years old profile, maybe this matches your profile description and you can both start dating in Ireland for free.